This composition is "Omnes di Saba", based on Isaiah 60:6 ("All those from Sheba shall come. They shall bring gold and frankincense, and shall proclaim the praise of the LORD.") and Psalm 72:10 ("May the kings of Tarshish and of the isles render him tribute, may the kings of Sheba and Seba bring gifts!") The YouTube page has more information about the composer, Orlando di Lasso. December 28 is ordinarily the feast of the Holy Innocents in the Latin Church. This year, because December 28 falls on Sunday, it is superseded by the feast of the Holy Family, which always falls on the first Sunday after Christmas. The painting here shows the Holy Family resting during their flight to Egypt, together with St. John the Baptist, painted by Fra Bartolommeo. This photo was taken by me. The museum's photo and more information can be found here. This is the last of a series of posts about the symbolism of snow and the symbolism of the rose in carols for Advent and Christmas, based largely on the carol Lo, How a Rose E'er Blooming. The others were titled "Snow and Advent" and appear in the Advent category of this blog. This one is in the Christmas category. In the version of Lo, How a Rose E'er Blooming given in an earlier post, the next to the last verse says, "True Man, yet very God, from sin and death He saves us, And lightens every load." A different version of the same carol appears among the carols for Morning Prayer for December 18 to 24 in the 4-volume set of the Liturgy of the Hours. It ends, "She bore for men a savior At midnight calm and still." In both versions of the carol, there is a sense of the peace and calm that comes from being saved from sin and death by the Saviour who is born at Christmas. It reflects the words of the angels, spoken to the shepherds (Luke 2:13), "Glory to God in the highest and on earth peace to those on whom his favor rests." In many ways, that is what the entire carol is about, and what Christmas is about. The cold, the darkness, and the storms of winter reflect original sin. The light that is the life of men (John 1:4) coming into the world, and the beauty of a rose as symbolic of the newborn Saviour, reflect salvation from sin. The harshness of winter brings to mind the struggle with sin and death that is part and parcel of human life. The rose represents Christ born into the world to bring the life of salvation, conquering sin and death. Sandro Magister recently had a post about Pope Benedict's recent references to original sin. Titled "And it was night. The real story of original sin", Magister's December 11 article spoke of Pope Benedict's several recent references to original sin. Magister quoted the entirety of the Pope's catechesis from his weekly general audience on December 10, the one that focused most particular on that topic. In it, the Pope taught from the writings of St. Paul, saying of life and of the darkness of evil: "This is the happy proclamation of faith: there is only one good source, the Creator. And because of this, to live is good, it is a good thing to be a man, a woman, life is good. Then a mystery of darkness, of night follows. Evil does not come from the source of being itself, it is not equally original. Evil comes from a created liberty, from an abused liberty." Of the light that is Christ, he went on, "With his light, God is stronger and, because of this, evil can be overcome. Therefore, the creature, man, is curable; but if evil comes only from a subordinate source, it remains true that man is curable. And the Book of Wisdom says: "the creatures of the world are wholesome" (1:14)." And man is "cured. God has introduced healing. He entered in person into history." The peace on earth proclaimed by the angels is the effect of that cure, of that conquering of sin and death by the Saviour born into the world at Christmas. The silence of the "Silent Night" sung in a different carol reflects the silence of that peace. Snow brings a calm and peacefulness to the night. When a winter storm has passed, the snow falling gently on a white blanket covering the ground composes a Christmas card scene, gently covering the roofs of churches and homes, with smoke of a pleasant fire rising from each chimney, as people greet each other on their way with "Merry Christmas!". The snow of later months is never quite as welcome as a Christmas snow, when people do not have anywhere to go except perhaps to Mass and then to the warmth of home. It is the stillness of a peaceful Christmas snow that evokes thoughts of the peace of salvation, a cure from sin and death, brought by the birth of a baby at Christmas, lightening every load. If you don't have EWTN on your cable TV network, you can watch and listen over the internet with Real Player or Windows Media. Go to the EWTN Home Page, check the menu for "Television", and you can choose "Live TV" in either English or Spanish for your geographic location. Also on the same home page, check the menu for EWTN "Radio". The EWTN schedule for Televisions Specials is here. It includes Christmas Midnight Mass from St. Peter's Basilica and the Urbi et Orbi blessing message on Christmas Day from St. Peter's Square. It also includes choral meditations and the Mass of the Nativity from the Basilica of the National Shrine of the Immaculate Conception; a Catholic University of America Christmas Concert; a choral broadcast from the Louisville Chorus at St. Martin of Tours Church in Louisville, Kentucky; and a Christmas Cantata (Andrew T. Miller's "Birth of Christ" recorded live in Ireland. To listen over the internet, go to this home page or go to the schedule for December 24 or December 25 (keep in mind the time zone). Broadcasts include Midnight Mass from Notre Dame Cathedral in Paris. KTO French Catholic TV has posted a Christmas Broadcast Schedule. KTO also offers past broadcasts available on demand by internet. If you want to watch Midnight Mass at St. Peter's Basilica, for example, and can't see the EWTN broadcasts, you might want to watch it on KTO TV. Even if you don't understand the French, you will be able to hear the music and see the Holy Father preside at Mass. Or, watch Midnight Mass live from St. Peter's (live broadcast begins at 23h45 on 24 Dec.), Family Mass from Notre Dame Cathedral, Paris (18h on 24 Dec.), Gregorian Mass on Christmas Day from Notre Dame Cathedral, Paris (10 h on 25 Dec., Cardinal Vingt-Trois presiding), or the Holy Father's Urbi et Orbi address (12 h on 25 Dec.). You can use an online world clock to find the time zone difference from your own time zone. A schedule for upcoming Christmas Eve and Christmas broadcasts is here, including Midnight Mass from St. Peter's Basilica and the Holy Father's Christmas Day Urbi et Orbi address. Catholic TV will also broadcast Midnight Mass from St. Peter's Basilica and the Holy Father's Urbi et Orbi message online, rebroadcast during the week. The schedule also offers videos on demand, including "A Winter's Journey" (a musical Christmas special). In today's Mass for the celebration of Epiphany, Pope Benedict XVI spoke of globalization and the need for moderation in the use of global resources. A full translation is available on the Vatican Radio website. Asia News has an article. He stated in his homily, "Today, we celebrate Christ, the light of the world, and his manifestation to all humanity." With Christ, the blessing of Abraham is extended to all peoples, to the Universal Church which is the new Israel. "Moderation therefore is not simply an ascetic rule, but also a path to salvation for humanity. By now it has become increasingly evident that only by choosing a sober lifestyle, accompanied by a serious commitment to an equal distribution of wealth, will a just and sustainable model of development be possible. This is why there is a need for men who nurture great hope and thus posses even greater courage. 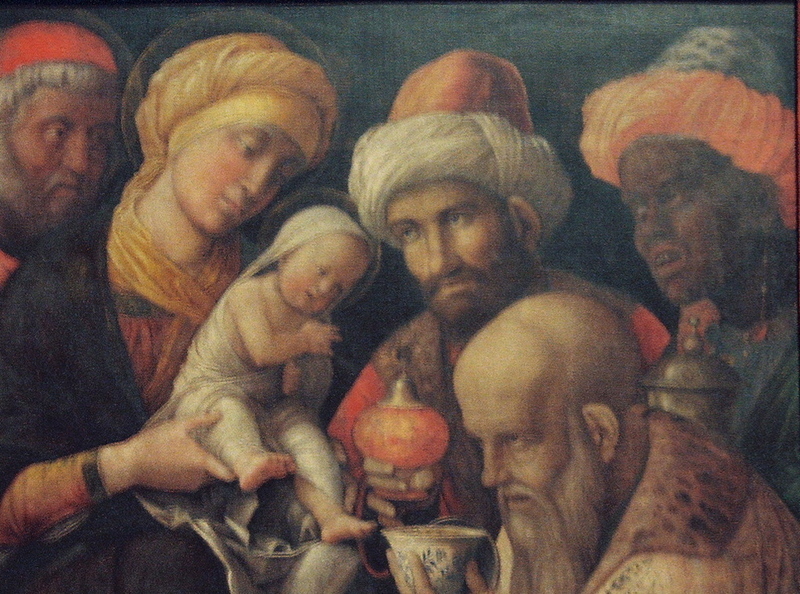 The courage of the Magi, who undertook a long journey, following a star, and who knew how to kneel before a child and offer him their precious gifts. We all need this courage anchored to a solid hope. That Mary may grant us as much, accompanying us on our earthly pilgrimage with her maternal protection." "Every authentic believer is always on the path of his personal itinerary of faith, but at the same time, with the light he carries him, he can and should be of help to whoever is by his side, perhaps someone who is also trying to find the road that leads to Christ."